I wish I could go back to the days of old when cartoons were the only shows I ever watched and nap time, play time and study time were the only things I had to do with my life. When I never worried about what I looked like and never really thought about how to pay the bills. Oh, how I wish I can return to my innocence, the age that I loved. Curiousity may have robbed me of my innocence. It might even have hastened my change. But everybody needs to grow up somehow. Some people just age faster than others and others remain the same. Growing up is not a painful process. It's merely an eye-opening experience for everyone. If only things can stay the same. I don't mind staying young forever but I guess we all must move on. However, some grown ups stay young at heart. 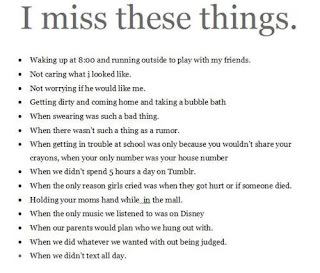 I personally don't want to grow up fast. I may have gotten older but I will still stay the same. I'm free spirited and forever will be. Looks like innocence can take on a different form when we all grow up. Let's NOT stop dreaming! 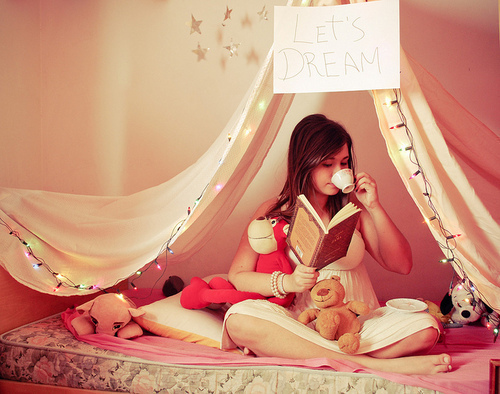 Growing up shouldn't stop us from imagining. From creativity comes imagination and without imagination, I don't think I can ever be that productive. 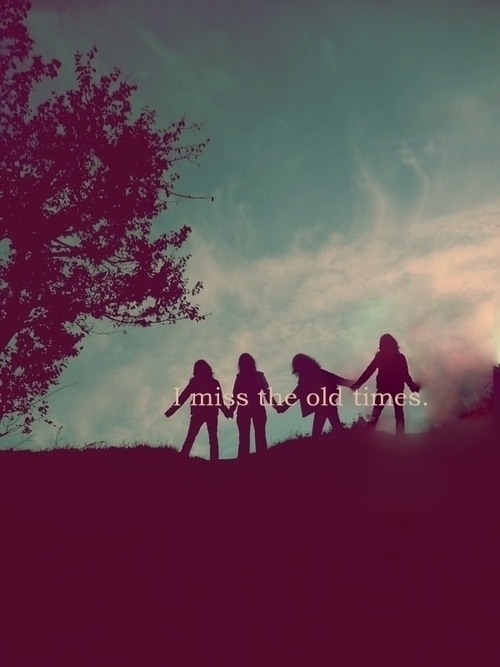 I miss the old times. I miss the old me. I miss everything about my old self and my old life but I still love the new me and my new life nonetheless. 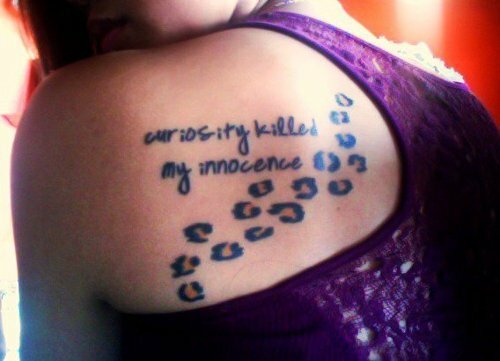 Curiosity killed the cat and in some people's cases, it killed their innocence. 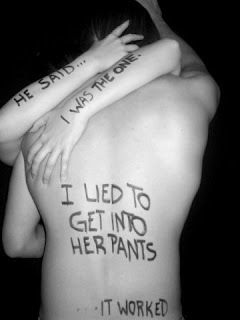 He robbed her of her innocence. What kind of person would do that to anyone? Would you take away anybody's innocence merely for personal gain? Well, that's just selfish and insensitive of you then. You should be ashamed of yourself! 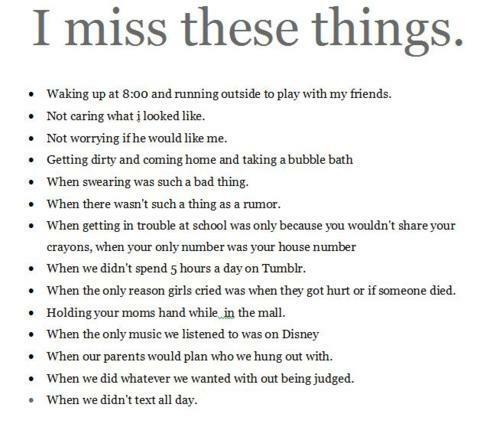 I miss if not all these things, most of them. Farewell, my beloved childhood. 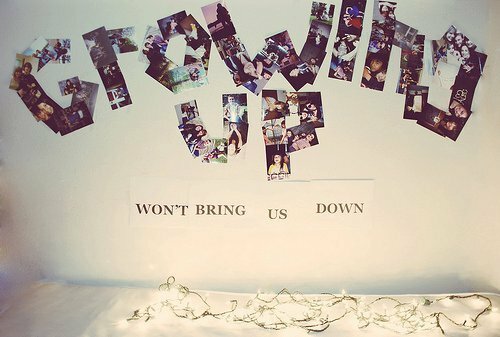 We can grow up but we can still stay the way we are. With innocence or without innocence, let's all be the way we used to be or perhaps a better version of what we used to be.